1 To protect your health, Breathing in the fumes from gas,oil or solid fuel fires can cause serious damage to your health and in the worse cases prove fatal. Having your chimney swept will help make sure that your chimney/flue is sufficiently clear to allow the dangerous fumes to escape safely out of your home. 2 To avoid chimney fires, Having your chimney swept regularly will drastically reduce the chances of having a chimney fire. Chimney fires can cause property damage the least usually being a cracked chimney pot. Which will need to be replaced and the worst being you could lose your home! Fortunately, the more extreme outcome does not happen very often, but it does happen. 3 To avoid smoke damage, Each time the fire is used, soot will accumulate up the chimney. Gradually, this will decrease the size of the flue which in turn, will lower the draw of the smoke upwards. If the chimney does not have enough pull, the smoke will enter into the room, not only causing irritation to you, but can also blacken your fireplace or the decoration above. Overnight burning / slumbering fire - please don't do this, it can be dangerous, costly and is highly polluting. A qualified sweep should be able to provide you with good basic information on the use of your appliance and fuel. This advice may well save you the cost of their visit in fuel savings each and every year. 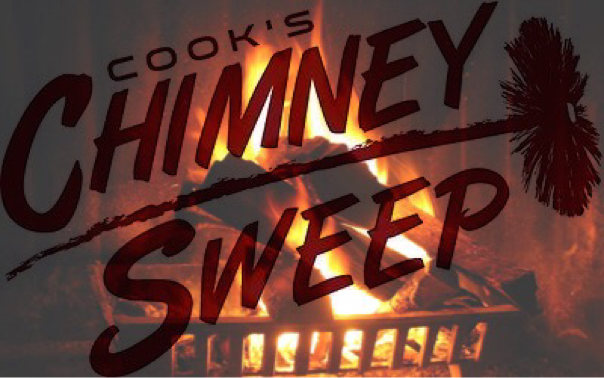 Some Insurance companies will no longer pay out for chimney fire damage unless the flue has been swept and maintained by a professional chimney sweep who can issue a valid certificate of sweeping. 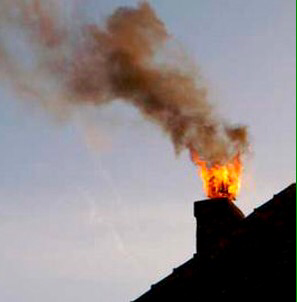 If your chimney is clean it will not catch fire (there is nothing in it to burn!) Your sweep has been trained and educated to clean and inspect your solid fuel appliance and flue. They will also be able to recommend any repairs needed, recording them on your sweeping certificate, since they have passed their assessment and their understanding of the complexities of chimney and venting systems is vast.